Our small vibrant operation offers a brand of motorcycle tours based on the simple premise that most people prefer riding in small uncluttered groups and enjoy the freedom of the open road with like-minded people. The overnight accommodations are always diverse avoiding sterile 'hotels'. Meals are varied and appetizing, the overall ambiance of the overnight stops adds to the enjoyment of the tour enhancing the overall experience. All our accommodators are handpicked and enhance the entirety of the tour and are more often than not owner run. The nature of the tours is such that pillions are equally comfortable on tour as long boring A to B riding is avoided with well-planned routes on the countries best roads, which are many. Our motorcycle tours are mostly road based with the occasional ride on quality gravel in and out of the occasional viewing site and/or overnight spots. 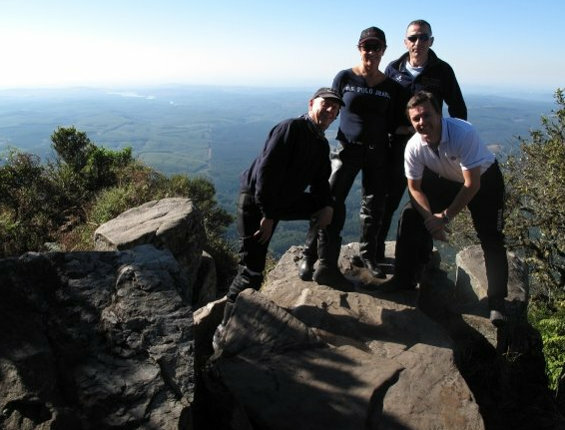 Less experienced riders are taken care of and the small group nature of the motorbike tours allows the experienced riders to enjoy their bikes! Joe and Diana reside in Bloubergstrand alongside beautiful Table Bay with Cape Town and Table Mountain our homes foreground. Diana will assist with German enquiries and translation. 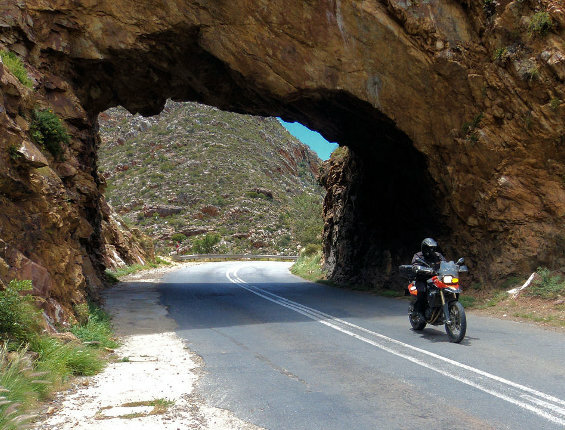 Situated at the end of the African continent South Africa offers motorcyclists unparalleled riding conditions and opportunities. Jurg, our associate, acting as agent and contact within the Swiss motorcycling fraternity is based in Somerset West, when not riding his 'Guzzi', operates a guesthouse along with Constance. 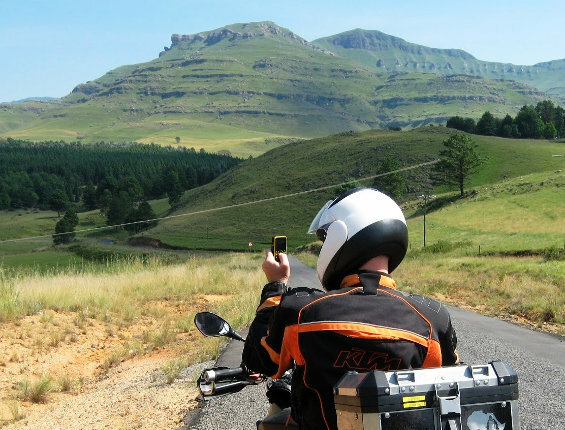 Joe guides each tour and prides himself on offering an overall package which will ensure the rider and pillion leave this beautiful country with fond memories and an itch to get back for more. Riding with Due South will allow you to enjoy the experience gathered over the past decade ensuring you enjoy the best routes, best sights and best stops en route. We expose you to the quaint local spots many tourist simply miss out on. You will not feel like a tourist! We avoid the regimented “formula” mentality so often associated with the overly commercial motorcycle tour offerings; which unfortunately have become commonplace. The bikes are all current model and low mileage making for superb, reliable riding. We recognise that overnight stops and meals are an event in themselves. The spots are all handpicked and unpretentious; rather designed for a great overnight experience as opposed to sterile ’hotel’ stop. This point cannot be overemphasised... All tours are capped at 7 bikes (unless a group booking), this ensures the overall experience for all is enhanced; encouraging great camaraderie and high spirits. Experienced riders, newbies and pillions alike are comfortable with the pace and experience overall.